The holiday selling season can make or break your business. Holiday sales are predicted to increase by 15.3 percent this year. You need to prepare your business for this critical time of year in order to make sure you’re not only attracting increased traffic, but also taking advantage of those extra eyeballs. Hiding your head in the sand not only means you’ll miss out on a boost in sales, but also that you’ll risk losing customers to competitors that are embracing the biggest gift-giving season. 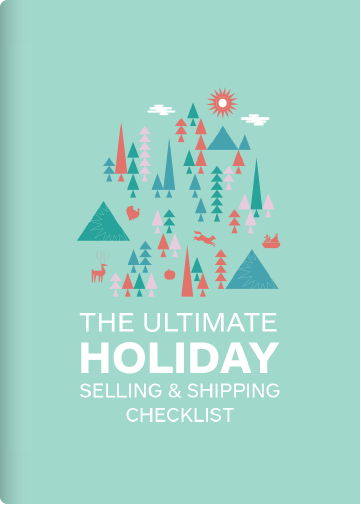 The team at Shippo put together the ultimate checklist, broken out by month, so you know what you should be doing now, and all the way into December, to take advantage of the holiday season. Download your holiday selling and shipping checklist today so you can boost your bottom line--and keep the coal out of your stocking at year’s end. Shippo helps merchants automate and streamline all their shipping needs. With Shippo, users can easily integrate their e-commerce platform to save time and money by comparing shipping rates, generating labels, offering return labels, tracking packages, and more.